Professional cleaners cover all areas of domestic cleaning including upholstery. Not all cleaning products are suitable for every type of furniture upholstery. How can you be sure that the product you buy will equally work on your chairs, sofa, and love seat? A professional cleaner makes a living out of being able to distinguish between fabric materials and will know by heart what combinations fit best in which situations. Even with our years of experience, we might come across a brand new stain combination not yet seen before. No matter, we can always use our experience in coordination with a test area, show you the results, and wait for your approval. Steam cleaning is a great way of preserving the life span of your carpets and as well as your upholstery. A deep dirt extraction coupled with a deep healthy, clean is imperative for the life and health of your upholstery because it prevents allergen and bacterial accumulation. Not only will your upholstery thank you, so will your friends and family who use your furniture frequently. 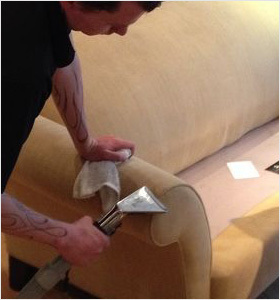 For more information on our furniture cleaning, please click here. UCM Services Orange County provides a complete leather cleaning service that includes the application of a leather cleanser to remove all traces of soiling from the surface of the leather hide. This application also has the extra benefit of providing the much need moisture that your leather has lost since its last cleaning. This process takes some time and is completed manually. After leather is professionally cleaned and restored, we apply a refinishing cream and a protective coating. This enhances the captivating look of the leather and protects it from spills and further wear and tear. For more information on our leather cleaning service, please click here. Orange Country Carpet Cleaning can address almost any upholstery or furniture cleaning you require. Not sure about a certain item? 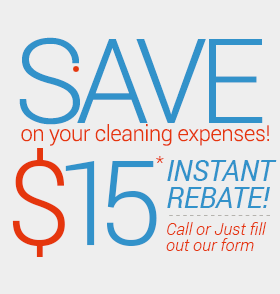 Call us and find out today!